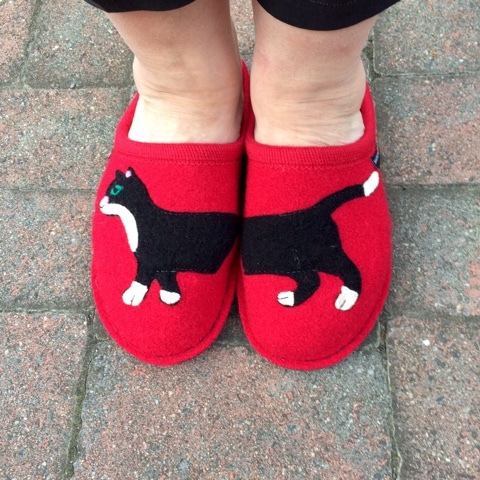 My new slippers - a real indulgence but I couldn't resist. 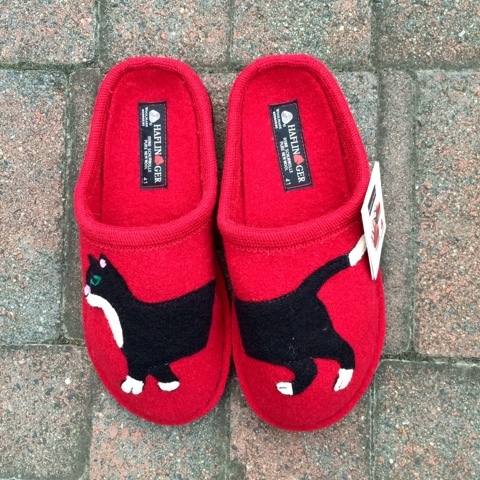 Just for the evening when sitting in my chair and stitching. 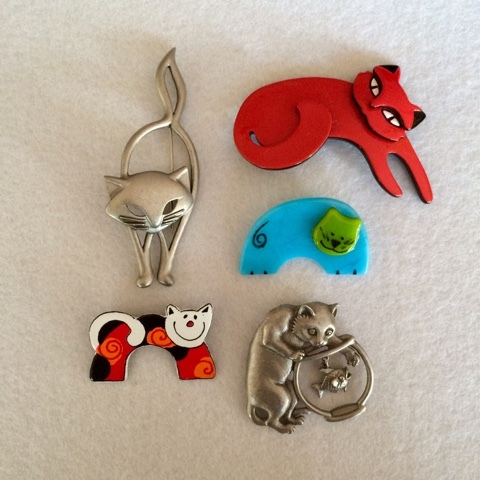 Of course I am not getting as much done as I should, too much time looking down at admiring them. 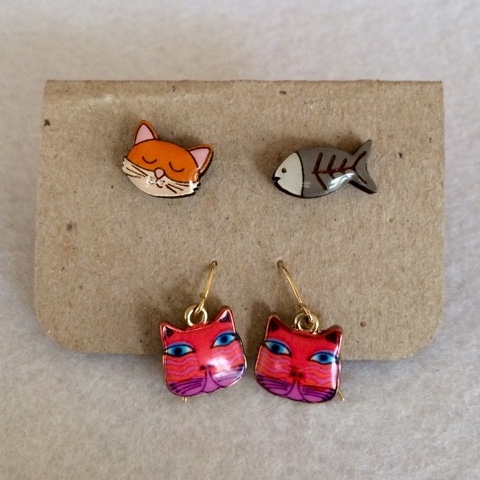 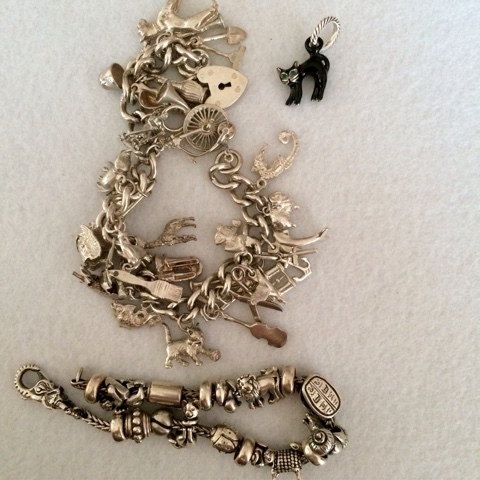 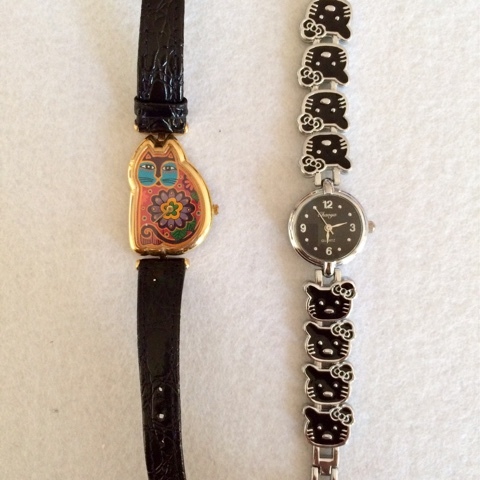 Cat charms on bracelets, the black cat charm is also worn as a necklace.